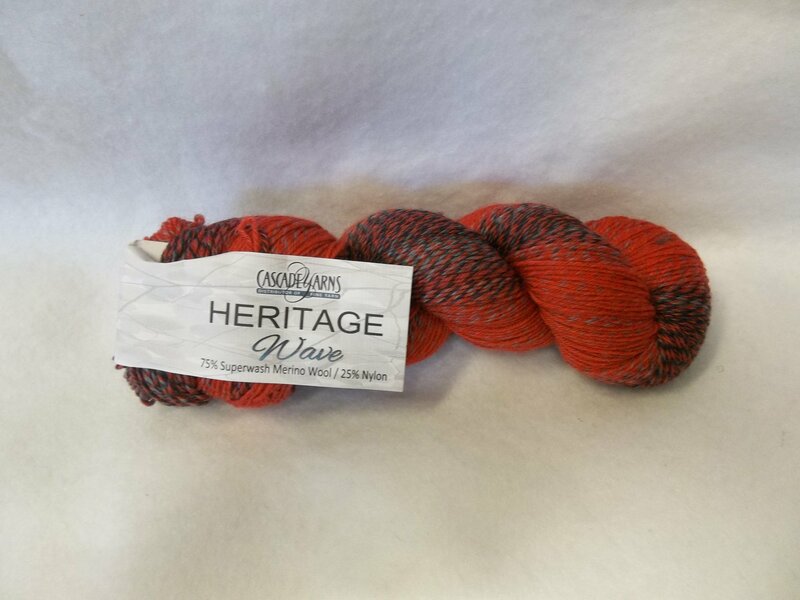 Heritage Wave is a subtle gradient yarn for sock knitting. Composed of 75% Superwash Merino Wool and 25% Nylon. There is 437 yds. 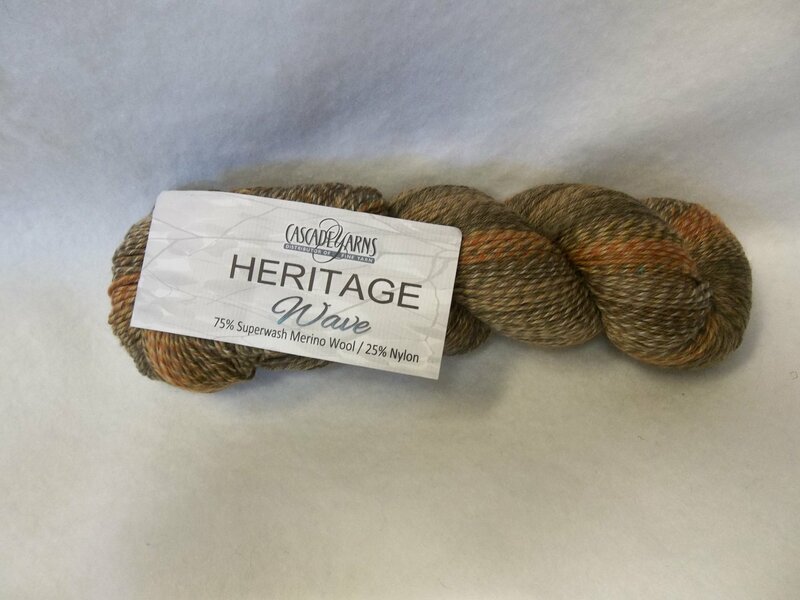 on each 3.5 oz/100 g skein. Knit on a US 1-3, it knits to approximately 28-32 sts. for 4 inches. Machine wash cold and tumble dry cool.